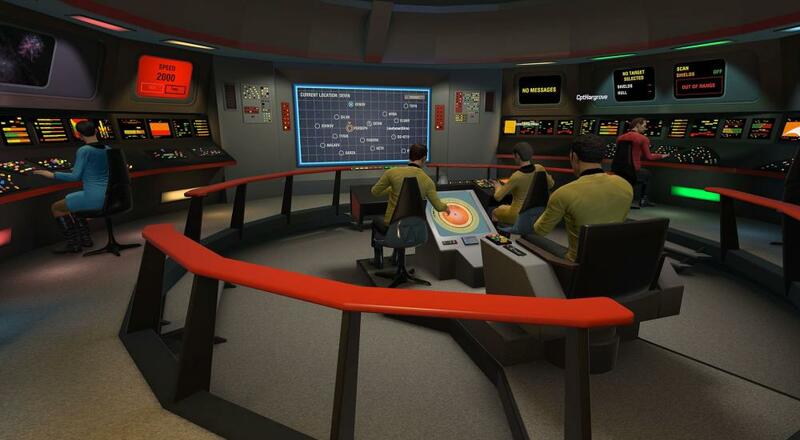 One of Ubisoft's most interesting VR outings, Star Trek: Bridge Crew, allowed players with a mixture of headsets to work together aboard the U.S.S. Aegis as they explored a new, uncharted section of space. Generally, though, "exploration" devolved into frantic yelps and fists being slammed onto virtual keyboards. Thanks to the game's latest update, players may join in without the constraint of needing an expensive headset, so those fists can now be slammed into actual keyboards, and the yelps... well, they'll still be yelps. No real change there. Not wanting to section off their playerbase, of course, the game allows players of both types to be matched together for its various missions. I haven't really gotten a chance to check the player counts on PC or PS4, but the game's four player co-op will undoubtedly get a significant boost now that it's more widely available. The expanded accessibility is great for people who've been wanting to check Bridge Crew out without necessarily wanting a VR headset, but it is a slightly worrying statement on the state of co-op VR. Let's hope developers aren't deterred from taking a stab at the hardware, as cooperative play has huge potential in virtual reality. Page created in 1.7243 seconds.